JUSTICE: Kanavape again sentenced in his appeal? Do you remember Kanavape ? 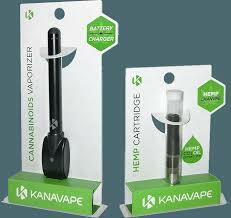 2014 end, this French brand Kanavape was preparing to market of the vape a product based on certified hemp creating the passage controversy. Last January the two entrepreneurs of the company were sentenced to eighteen and fifteen months' imprisonment with suspended sentence and a fine of 10.000 euros each. Cannabidiol e-cigarette (CBD) is legal? this question will be answered by the Aix-en-Provence Court of Appeal. Two Marseillais favorable to the therapeutic use of hemp had been condemned at first instance for "therapeutic allegation" last January. According to the Ministry of Health, CBD appears legal if it does not exceed a level of 0,2 THC Tetrahydrocannabinol, the active ingredient of cannabis and some French sites market vape CBD. The legal marathon of hemp e-cannabis pioneers is continuing. Fifteen months in prison suspended were required Tuesday before the Court of Appeal of Aix-en-Provence against the two entrepreneurs of the company Kanavape who claim to be the first to market an "100% legal" hemp electronic cigarette. The Court of Appeal will make its decision on October 23, to see if by that date the legislation surrounding Cannabidiol and its use will have changed.